BeadforLife is a 501 (c)(3) nonprofit organization and member of the Fair Trade Federation that works to eradicate extreme poverty by creating bridges of understanding between impoverished Africans and concerned world citizens. Ugandan women turn colorful recycled paper into beautiful beads and communities in northern Uganda gather shea nuts and press them into shea butter for cosmetics and soaps. Equal Exchange is the leading Fair Trade brand of food and beverages in the United States. Founded in 1986, this worker co-op imports a wide variety of Fair Trade foods from over 40 small farmer co-ops in 25 countries. With 12 faith-based partner organizations (including United Methodist Committee on Relief –UMCOR) & countless schools, they work to popularize Fair Trade. Shoppers can honor their loved ones by giving to those who have a greater need locally and globally. More than 30 vendors representing several nonprofit organizations will be on hand to offer you a chance to purchase gifts that will make a difference. 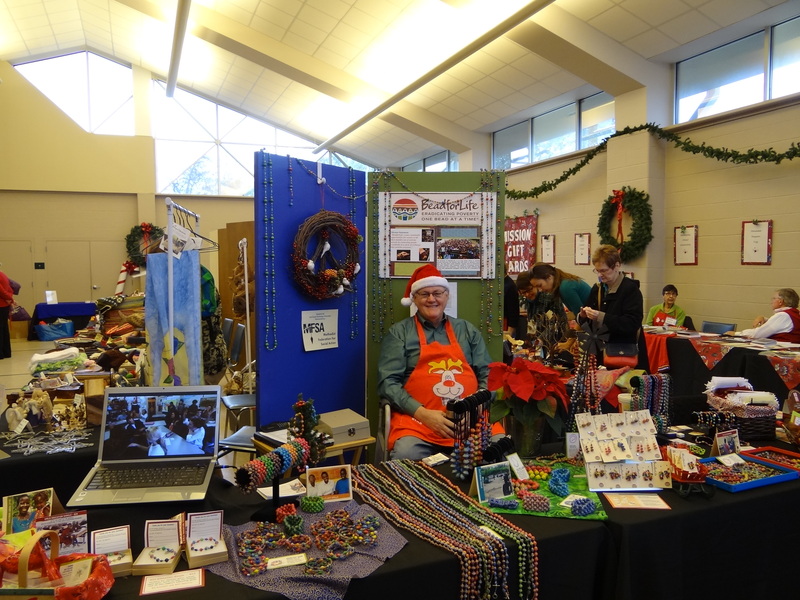 Each year, UUMC holds an Alternative Gift Market where all are invited to shop for holiday gifts that support local and global non-profit groups. There are always beautiful items to purchase as well as opportunities to make gift donations to groups such as Heifer International, local agencies, and others.